Major multi-million pound plans to revamp Halifax town centre have won support despite reservations from some councillors and opposition to demolition of a building from heritage groups. Improvement works for the town centre and the A629 route which include creating a new public area called the Piece Garden opposite the Piece Hall and improving bus, cycle and pedestrian facilities, will come at the cost of losing the Hughes Corporation building to demolition and some town centre parking spaces and subways. This is what councillors, supporters and objectors said at the planning meeting as they made a decision on the proposals. 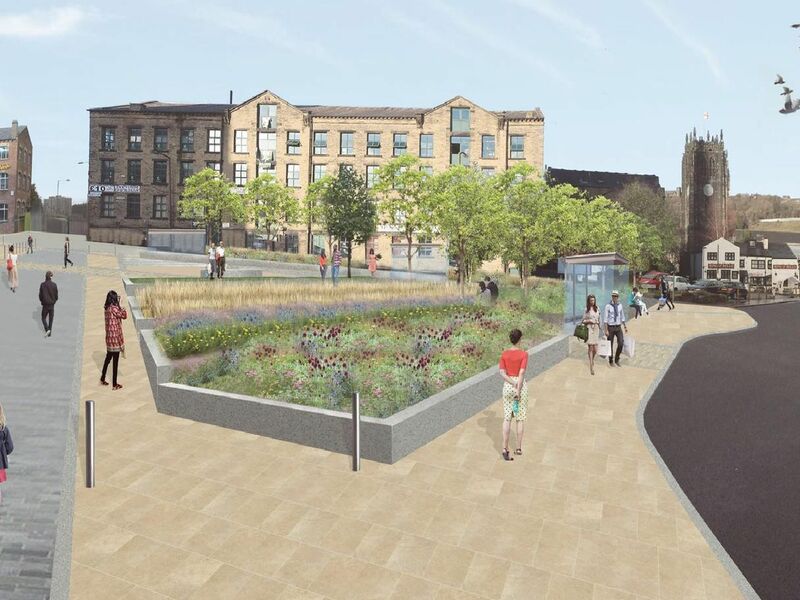 Mark Thompson said the plans could be seen as part of other proposals for Halifax town centre, potentially setting the stage for a series of other interventions over the next five to ten years, especially the railway station proposals, he said. Coun Bellenger asked about parts of the proposals to alter Bull Green and siting of bus stops because of the steep sided topography of Halifax. 'It seems to be shifting vehicles now to the bottom of town. We need to be making it easier for people to come to the town centre, not push them away." Coun Metcalfe said regarding opposition to demolishing the Hughes Corporation building that other heritage buildings in an icon rich part of town would showcase listed buildings like Halifax Minster better. I think we know a key role is the demolition of the Hughes building. Vicar of Halifax Rev Canon Hilary Barber supported the plans saying Its exciting to be in Halifax and all the changes. As far as I can see the Hughes Corporation does us no favours.